Xiaomi Mi Max 2 Review: Does Longevity In a Phablet Matter? For a phablet its size, the Mi Max 2 has potential. It doesn’t have other gimmicky options that make it stand out compared to other phablets, but it works in delivering what people want in a phone, and with a powerful processor and surprisingly smooth interface, Xiaomi’s phablet is pretty good for its price. Xiaomi Mi Max 2 review: Big display, but is this for everyone? There’s no doubt Mi Max 2 is a niche phone, which performs well and delivers on the core area of display, battery, and performance. Battery is one of its best features, and this could be the device that never dies. But unless you actively want a 6.4-inch phone to make your daily calls, you can look at other options in the market, including Redmi Note 4, Moto G5 Plus and others. The Xiaomi Mi Max 2 is certainly not everyone's cup of tea. Now, what we have here is more of a mug - if not the entire teapot - but you know what we mean. Stretching the limits of a smartphone screen is nothing new, but many have tried and failed to leave a meaningful mark in the 6-inch-and-above bracket. Sony's Ultra series are among the better examples and Huawei's had a few phablets right as well. The Mi Max 2, just like last year's Mi Max, is an all-rounder that pretty much checks in all the right boxes. But, at the end of the day, it's just another Redmi Note 4 clone -- in every sense of the word -- except that it has been made to order for people -- if any -- who like large-sized phablets. More or less, it shares all the plus and minus points of its younger (and more affordable) sibling. The Mi Max 2 is well-built, has a good display, is a slick and very capable performer, has excellent audio and a fantastic battery life. Is it any better than the Mi Max though? Well, only marginally. Which means, if you already happen to own a Mi Max, I would suggest you hold on to it for some more. If you don't however, and you're looking for a phone of such gigantic proportions, the Mi Max 2 is the only phone at its price point that -- as mentioned earlier -- checks in all the right boxes. The Mi Max 2 is a nice, progressive iteration of the idea. The refined design and the incredible battery life make for a well-rounded package. The camera is not the best and the processing power isn’t top tier, yet at INR 16,999 ($270) in India, it is a great pick for anyone who wants a phone with a large display or wants a power bank with smartphone features thrown in. Large smartphones aren’t meant for everyone. The problems with the phablets are, they aren’t easier to carry in the hands, they can’t be able to fit inside your small pockets, feels bulkier, and so on. That said, in a nutshell, if you love big screen smartphones, want excellent battery life, and have the ₹17,000 budget to spend, Xiaomi Mi Max 2 is worthy in our opinion. If you have a lesser budget, the first generation Mi Max is still the right pick. The Xiaomi Mi Max 2 is definitely a charmer in multiple ways. An impressive performance courtesy the processor and ample RAM, decent display and camera, all mashed in an elegant-looking shell is what an everyday user would want in the given price range of Rs 16,999. However, as the name clearly says, it is a 'Max' sized smartphone and definitely not meant for a single-handed use. It is for those media consuming lot who love to watch movies, TV series and play games on the move with a larger and more engaging experience. Xiaomi Mi Max 2 Review: A Colossal avatar of Redmi Note 4! Overall, the smartphone is not just a regular phone you will in the market. It has a pretty large screen, which is ideal for media consumption but takes some time to get used to it. The phone comes with some impressive battery backup and the overall performance of the device is at par with the rest of the competition. So, if you fancy large screens and is looking to buy one, then Xiaomi Mi Max 2 can be considered as a good option. The Mi Max 2 is a unique device that is larger than most so-called phablets yet it is uniquely positioned to be much more portable than tablets. Given the success of the Mi Max, it is clear that a market most certainly exists that craves for a device that sits at the cross-section of these two categories. The Mi Max 2 takes everything good from the original and improves it further. The overall design is impressive while performance smooth. Battery performance left us pleasantly surprised. On the other hand, the camera could have used improvement. There haven't been many good launches in the Rs. 15,000-20,000 price band of late, so we would recommend the Mi Max 2 to anyone looking for a great display and battery performance in a smartphone in this segment, if they don't mind its size. In a fiercly competitive mid-range segment, the Mi Max 2 is a smartphone that simply stands out. It certainly isn't for everyone, but it rewards those who can handle its size with a quality build, adequate performance, decent cameras, and exceptional battery life and multimedia experience. Likewise, how Redmi Note 3 and Redmi Note 4 price didn’t change, I was expecting a similar case with the Mi Max 2 with under ₹15,000 price. Its predecessor has a price of ₹14,999 whereas its second generation comes with a price hike, available at ₹16,999 which is ₹2,000 more. It might not be as fast as the original Mi Max, but performance isn’t the main reason you’ll be buying the MI Max 2. Crossing the boundary between phone and tablet, the gigantic 6.44in screen will leave those of you who like your phones big all hot under the collar. With more storage, an improved camera and longer battery life, the Mi Max 2 is a no-brainer of an upgrade. While phablets are still too big for constant everyday use due to their large pocket footprint and degree of difficulty to hold, they are still perfect for leisurely use. The Mi Max 2 was an outstanding device to use for web browsing, social media, watching videos, and light gaming. Knowing that it will last a very long time on heavy use with its large battery makes it perfect for just that. In terms of Antutu performance, Xiaomi MI MAX 2 can be not so excellent, but in terms of photographing, battery life, craftsmanship, and price, Xiaomi MI MAX 2 can be a amazing smartphone, after all its official price is 1,699 yuan, $283. And it has large screen and durable battery life that most users like. We believe you will enjoy it a lot. You can use this coupon code: GB9% to catch Xiaomi MI MAX 2 at lower price. Positive: Solid workmanship; large screen; long battery life; decent speakers; good cameras; fast charging. Positive: Good price; fast system; fast fingerprint sensor; long battery life. Negative: Slippery. Positive: Nice design; beautiful screen; high performance; decent cameras; long battery life. Negative: Relatively large size; unsupport quick charge. Positive: High autonomy; beautiful design; high performance; large screen; good display; low price. Positive: High autonomy; beautiful design; good display. Negative: Mediocre ergonomy. Positive: Nice built quality; decent cameras; long battery life; pleasant display; fast fingerprint sensor. Positive: Fast fingerprint sensor; fast system; high autonomy; good price. Negative: Slippery. Positive: Premium design; nice display; large screen; good speakers; long battery life. Negative: No B20 4G band. Positive: Large screen; nice display; elegant design; high autonomy. Negative: Average performance. Positive: Large screen; fast fingerprint sensor; solid workmanship; decent hardware. Negative: No NFC; weak processor; bulky. Positive: Large screen; beautiful design; great built quality; long battery life; high performance; excellent display; fast fingerprint sensor; metal case. Negative: Sim and microSD are on the same slot; no NFC. Positive: Solid workmanship; large screen; long battery life; decent cameras; good speakers; fast charging. Positive: Large screen; fast fingerprint sensor; high autonomy. Negative: Heavy and bulky; sim and microSD are on the same slot. Positive: Nice display; long battery life; flexible fingerprint sensor. 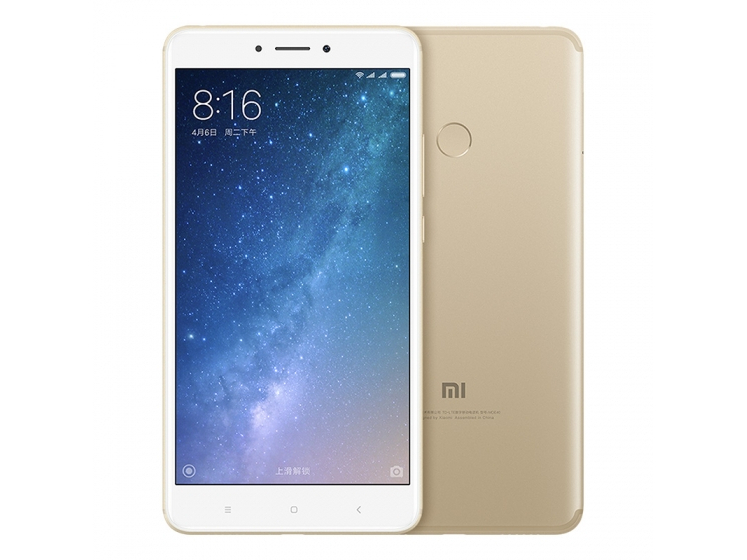 Đánh giá nhanh Xiaomi Mi Max 2: smartphone cỡ bự, pin cực "trâu"
Positive: Large screen; nice display; high autonomy; good price; elegant design; decent cameras. Negative: Weak processor. Positive: Long battery life; large screen; good price; quick charging; nice display; decent hardware. Positive: Beautiful design; good cameras; long battery life; good price. Positive: Large screen; decent hardware; nice design; metal case; quick charge. Positive: Large screen; high autonomy; powerful processor; quick charging; support OTG and 4G LTE. Negative: Poor cameras; no USB-C.
Model: The Xiaomi Mi Max 2 is a smartphone that offers a humongous 6.44” display. Last year Xiaomi released the Mi Max and while it was definitely a niche product due to its large display, it became very popular since the phone offered a lot of value for the price. Same as last year, the Mi Max 2 is definitely not for everyone since it is ridiculously huge due to it’s 6.44” 1080p display, which is really sharp and vibrant. For design, the build quality is excellent as the phone is made entirely of metal, the antennas’ design looks better than on some older Xiaomi phones, the buttons do not rattle and in general, the Mi Max 2 looks and feels like a flagship phone. The capacitive keys sport the same layout as usual and they are nicely backlit. The Mi Max 2 may look like a downgrade from the original Mi Max in terms of the processing power since it uses a slightly less powerful Snapdragon 625 chip, which is coupled with 4 GB of RAM and 64 GB of expandable storage. A user can also opt in for a 128 GB model if more local storage is needed. The Xiaomi Mi Max 2 runs on the MIUI Global ROM 8.5 that is based on Android 7.1. As usual, there are quite a few features, tweaks and customization options Xiaomi phones have been famous for. Just to name a few options, users are able to change the transition effects, choose from a variety of themes or wallpapers, quickly launch the camera from the standby mode, adjust a few display settings manually or use a built-in app lock feature. Since the Mi Max 2 has a huge display, a lot of people will most likely use it for multimedia consumption or entertainment. Therefore, there is a need for good speakers and the Mi Max 2 delivers in this department with its stereo speakers setup. One is on the bottom and another is embedded in the earpiece. The sound is rich, crisp and clear and the volume output is very good. The sound quality via the headset jack is also great with no distortions and balanced sound. When it comes to optics, the Xiaomi Mi Max 2 has a 12 MP camera with f/2.0 aperture lens and dual tone dual-LED flash. The selfie camera uses a 5 MP sensor. The stock Xiaomi camera app allows taking pictures very fast. Also, there are a few shooting modes like a manual mode that allows users to adjust a few image settings. When it comes to connectivity, the Mi Max 2 is almost excellent. Wi-Fi speed and range are great and the Bluetooth 4.2 works fine. Also, the navigation is very accurate thanks to built-in GPS, Beidou and GLONASS receivers. There is also a built-in FM radio. However, the phone lacks the LTE band 20 and NFC. The Mi Max 2 has a hybrid dual-SIM card tray that can take either 2 SIMs or 1 SIM and a microSD card. Call quality and signal reception are great using either SIM card slot. 78.45%: This rating is not convincing. The laptop is evaluated below average, this is not really a recommendation for purchase.